Let us know a bit about yourself, detailing your background, study and training in the jewellery making industry. I started designing and making jewellery when I was living in Canada in 2014. I injured myself snowboarding half way through the season, so filled my new found time with jewellery making instead! 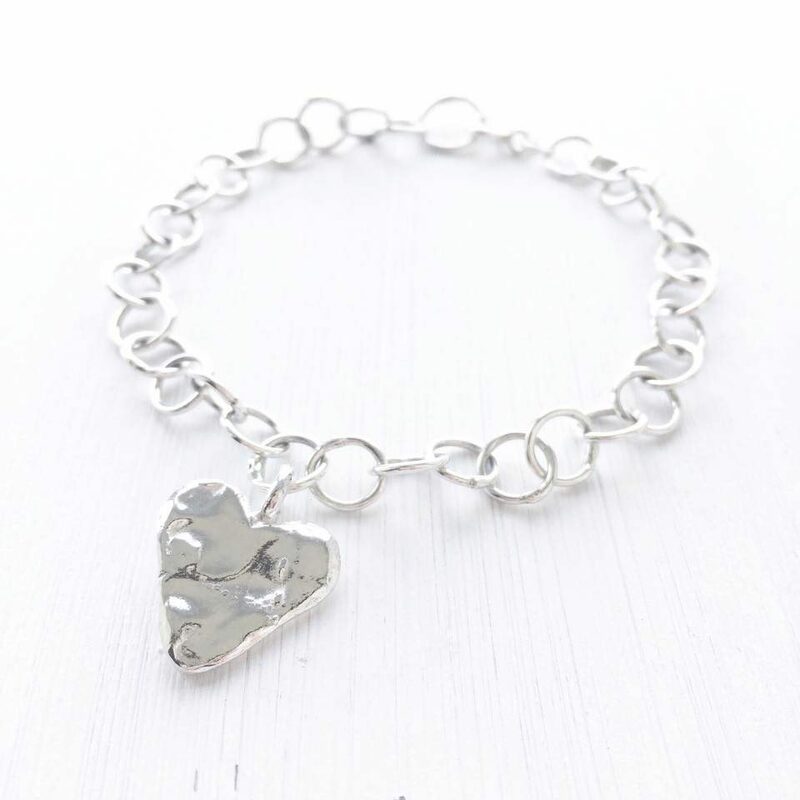 I taught myself how to make simple pieces using wire and beads and as my passion developed, then I decided to take a one day silversmith course when I returned to England at London Jewellery School which taught me the basic techniques. I then followed this up with an afternoon of training with Tracey Sugg (a local silversmith) and just completely fell in love with it. Everything after that has been self-taught really, experimenting with different techniques and finding out what I enjoy and what I feel expresses who I am and the things that I love. Tell us about your work – are there any particular materials or techniques that you favour? 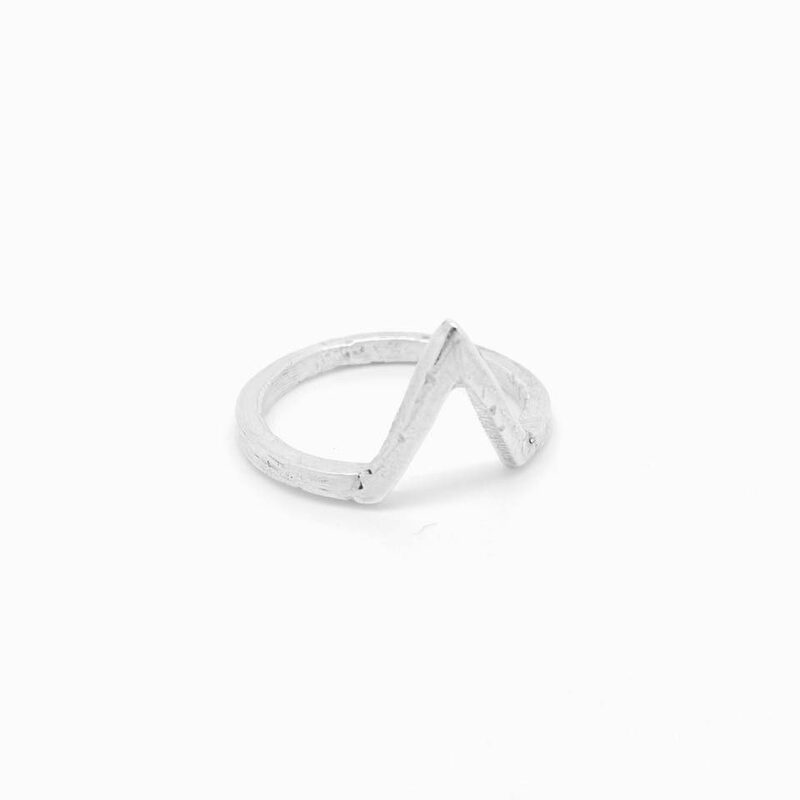 It’s important to me that my pieces are as ethical as possible, so I only use recycled sterling silver. My favourite technique without a doubt is reticulation! 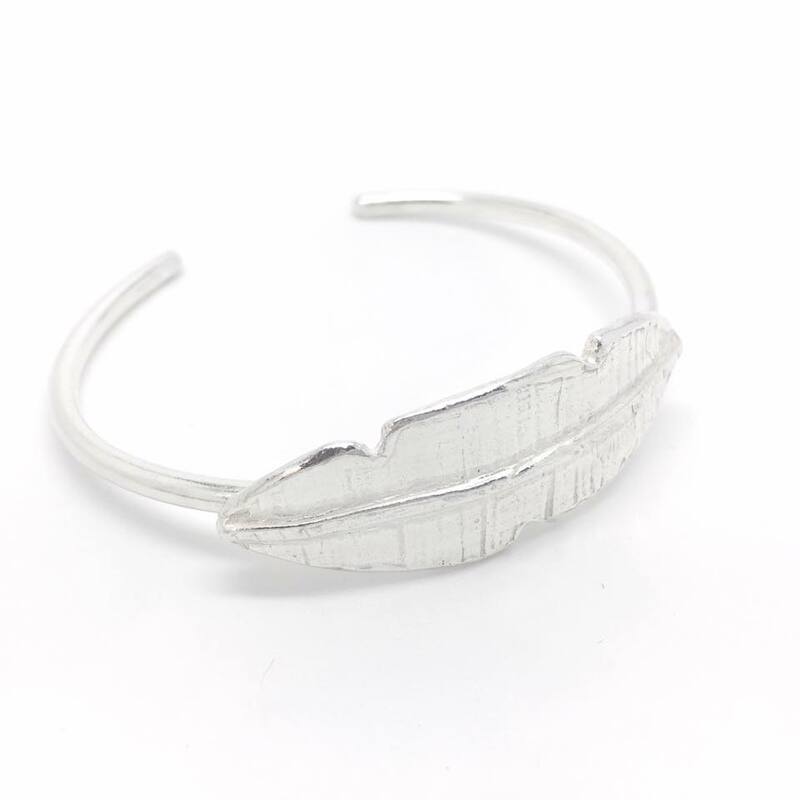 I love the organic and rustic texture that’s created from melting the metal, and as you can’t really control how the silver moves, it means every piece is completely unique, which I think makes it extra special. How would you best describe your design style? I would say that my style is rustic, boho chic! Designed for dreamers and adventure seekers. As a jewellery maker, where do you like to get your inspiration from for your pieces? I find inspiration everywhere, but mostly in the natural world. The wilderness, mountains and the ocean in particular are great sources of inspiration for me, which I incorporate into the shape and texture of my designs and also the colour of the stones that I use. I like my pieces to look a bit worn, as though they’ve been taken on lots of adventures and tell a story! Do you have a piece that you have made which you favour or are particularly proud of? I think my favourite piece is my charm bracelet. Because it’s so time consuming as I make and solder each individual link, I’m always really proud of it when it’s finished. I also like how you can add lots of charms to it – mine is now bursting with charms, each one reminding me of a special occasion or trip that I’ve been on, which makes it really special and unique to me. What is the one item in your jewellery making workshop that you could not live without? 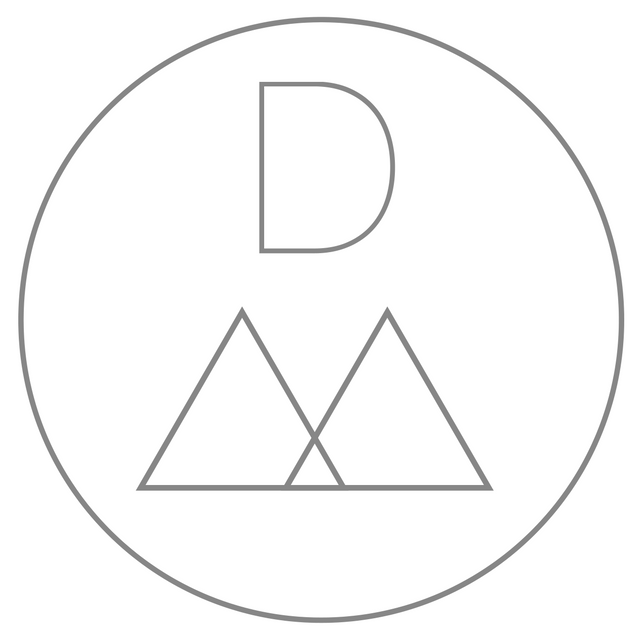 I’d say my DAISYV logo stamp! I had it custom made and use it on all of my necklaces and bracelets. It just makes each piece a bit more unique to my brand, and I like that it has mountains on it! What upcoming trends do you see being popular soon? I can see texture and reticulation in designs becoming a lot more popular. I started texturing my pieces because I loved the organic look that it gave and couldn’t find many pieces with that style, but I’m starting to see more of it now. I think people like the handmade look and pieces being one of a kind. What is the most valuable lesson you have learnt from your time in the jewellery making industry? To take my time! If I’m making something in a rush, I can’t concentrate properly and it ultimately ends in me making mistakes and having to start from scratch. By making sure that I give myself enough time, I’m relaxed and can put all of my focus on the design that I’m making and really enjoy it, which is what it’s all about. Do you have any particular advice that you would give to up and coming jewellery designers, or someone interested in getting into jewellery making? You don’t necessarily need to have a degree or years of training to make jewellery. You can start with simple designs using the basic techniques, and work your way up naturally as you get accustomed to working with metal and feel more confident to experiment. That’s how I’ve found my style, by experimenting with different techniques. It’s also important to always feel excited and inspired by what you’re making, as I think that can be seen in your designs and work! For more details on Daisy’s work feel free to visit her website here, or you can also find her on Facebook or Instagram.